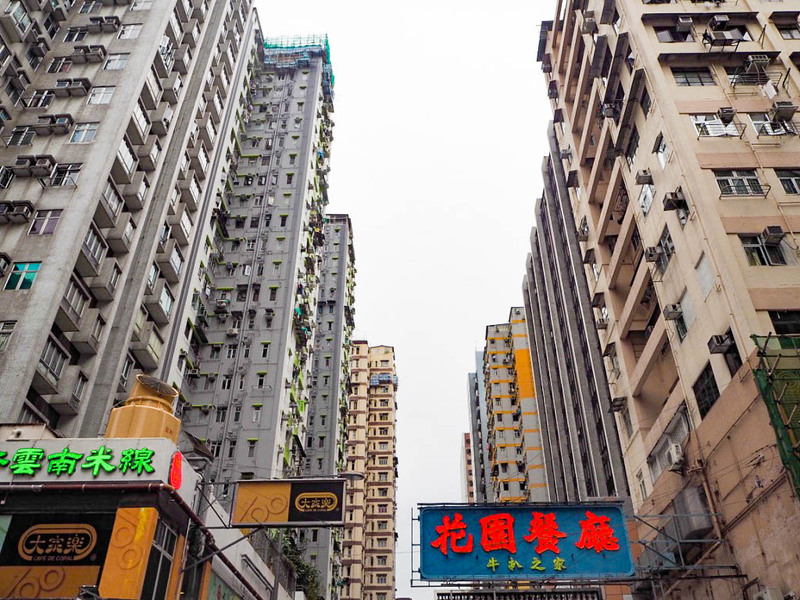 Once I’ve finished stifling giggles at the name of this area (yes, that’s my level of humour), a day in Mong Kok is one of my favourite things to do in Hong Kong. The area is known for its shopping, and as I certainly don’t have the cash to splash in HK’s row-upon-row of designer stores, this is much more my sort of place. 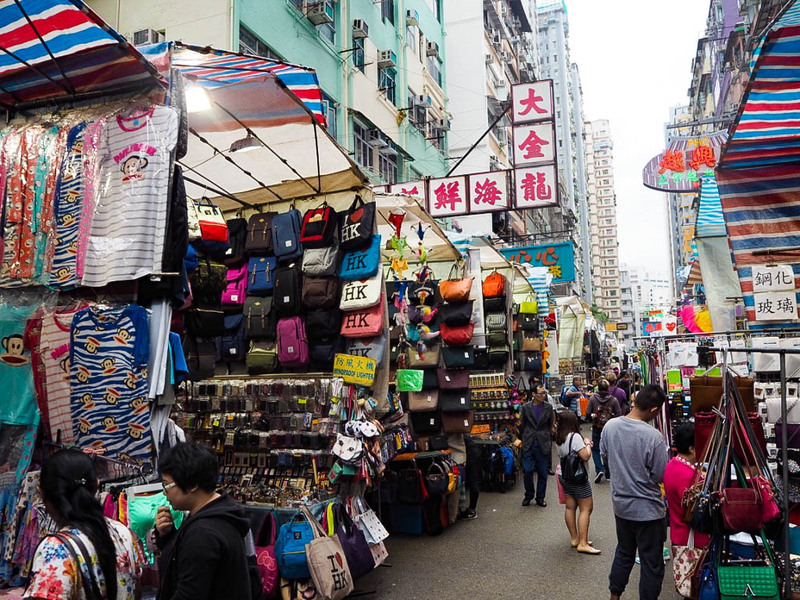 But it’s not just fashion on offer, Mong Kok attracts tourists because it has a variety of markets to explore; some much more for browsing purposes than others! 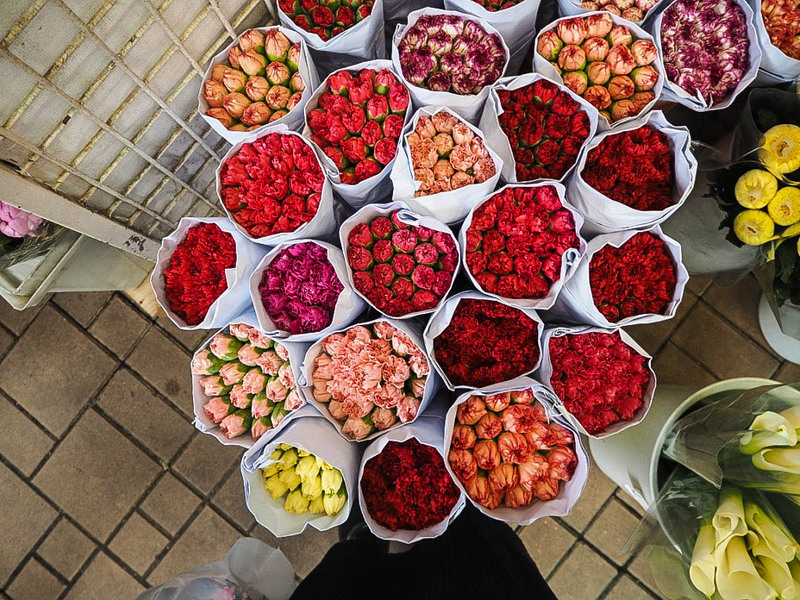 The Flower Market is, rather conveniently, located on Flower Market Road. 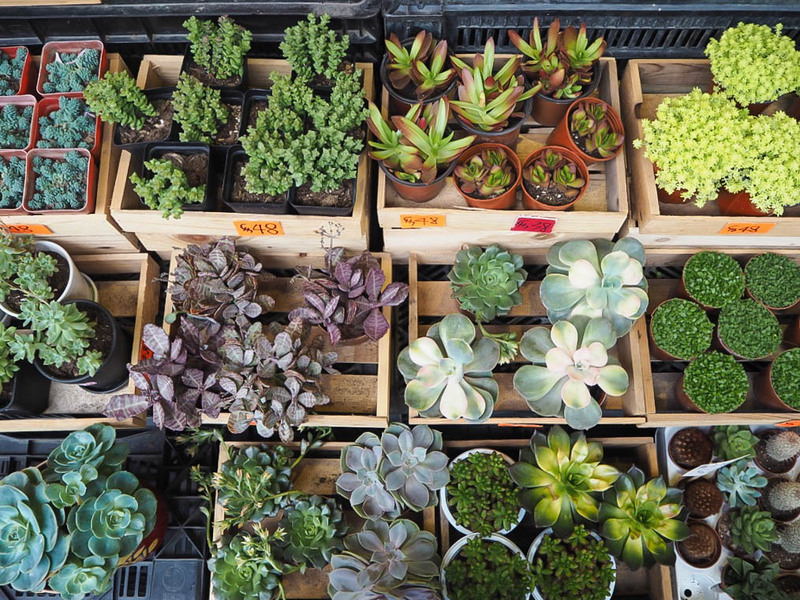 Unlike London’s Columbia Road, these stalls are here seven days a week and provide insane value. 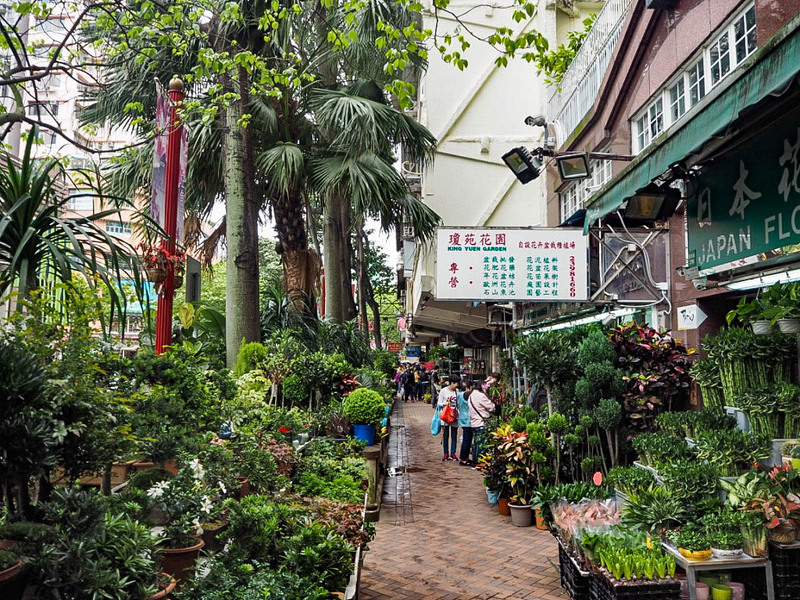 The shops are packed to the rafters and spill out onto the streets, selling everything from small trees to single roses. 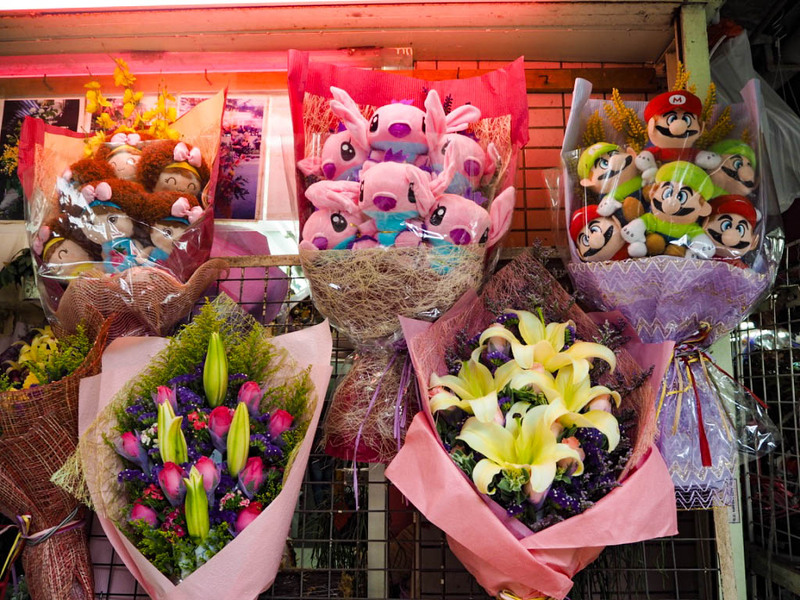 There is also some of that wonderful Chinese quirkiness too; why send sunflowers when you can say ‘I love you’ with a bouquet of Mario Kart plushies?! 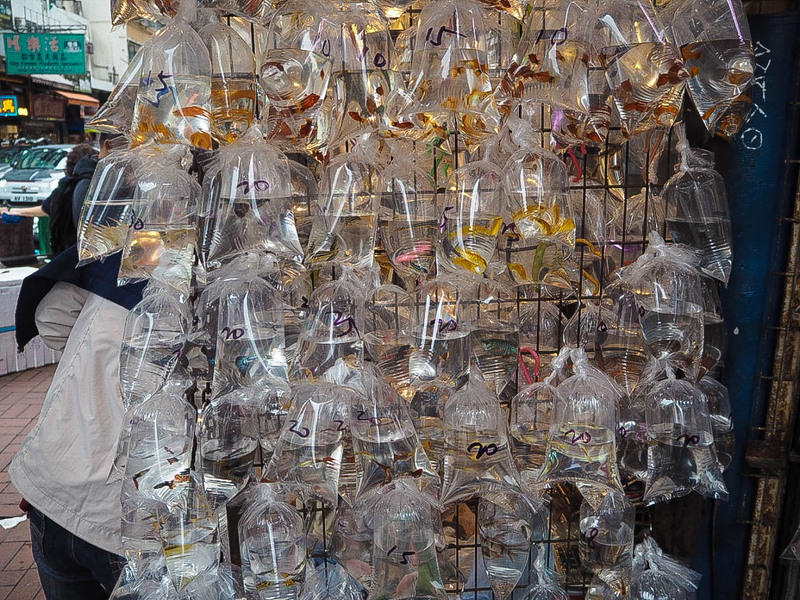 The Goldfish Market is baffling and intriguing. 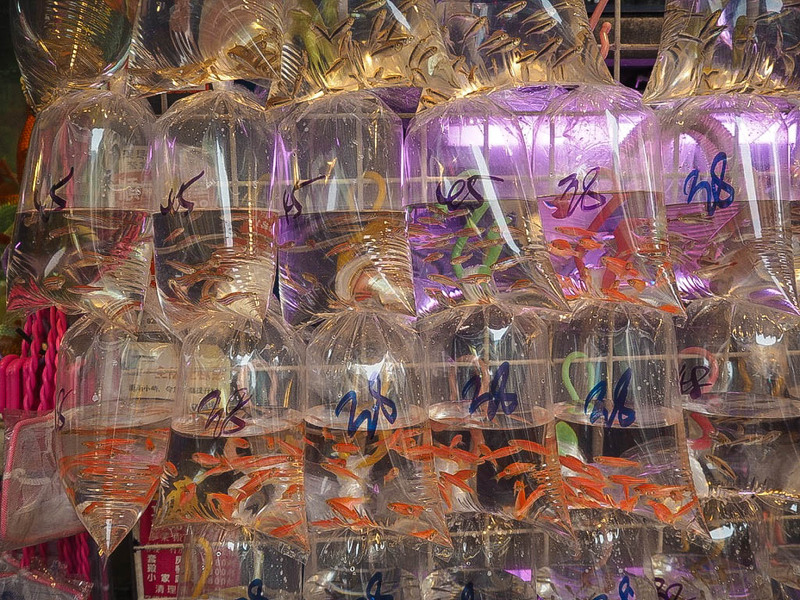 Small plastic bags filled with water hang from hundreds of hooks, each one housing a small fish. it’s like being at a carnival without the candy floss. I stood and watched customers bartering for so long but I still don’t know why so many people flock to buy goldfish. Maybe it’s medicinal. Maybe their kid’s pet died and they’re replacing it for the eighth time. I genuinely have no idea. The Ladies Market in Mong Kok is knock-off central. This is where you can buy your fake Mulberry and Louis Vuitton purses, should the desire take you. Or you could save up and buy the real thing because your worth doesn’t come from a pleather faux status symbol. Or whatever. ANYWAY, I bypass the fakes and seek out the bargains I wouldn’t find in the UK. 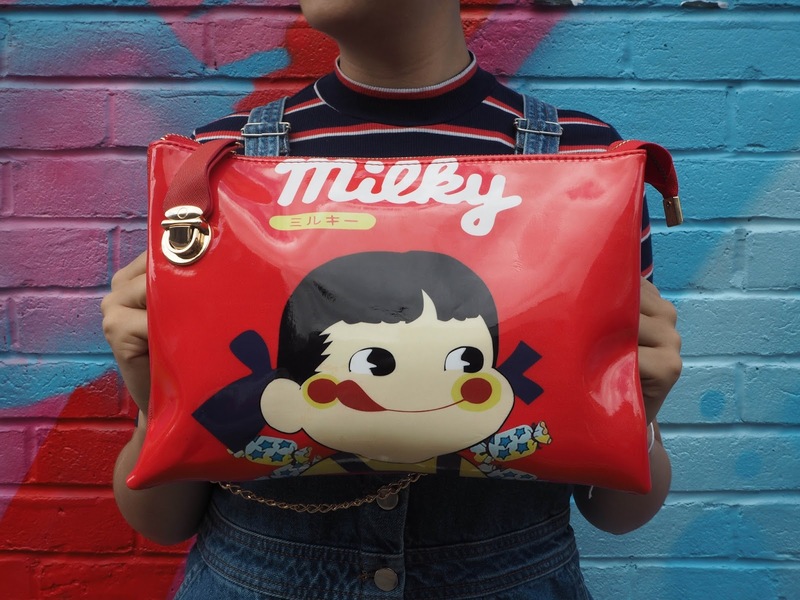 Last time around I bought two awesome jackets and the cutest novelty bag (along with the two I bought on my last trip as well!). And make sure you barter! 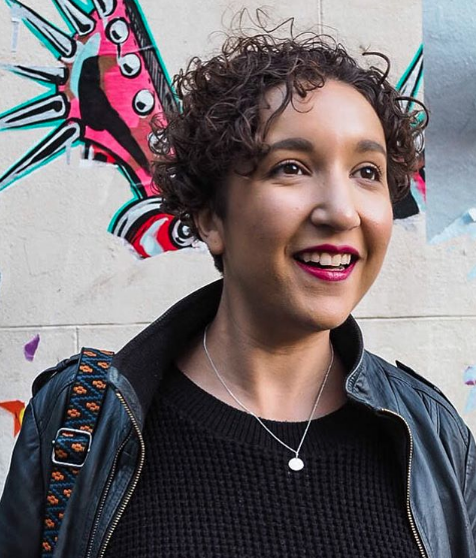 Never take a first offer and if you walk away and they really want you to buy something, they will literally run after you to seal a deal. It’s not scary, it’s just all part of the fun! 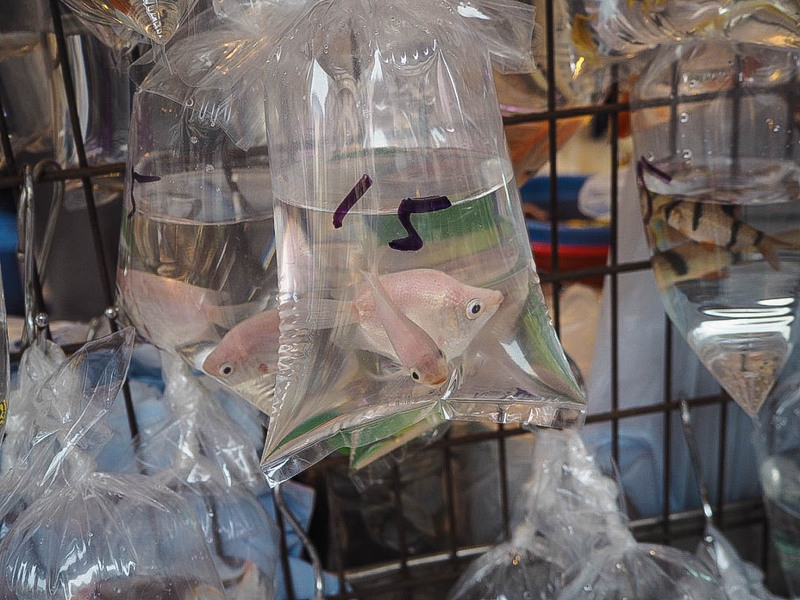 If you have a soul, please do not visit the bird market. Although Hong Kong is full of wet markets selling meat ready to be butchered, they are selling something that is already dead. If you’re at the Flower Market it’s easy to accidentally stumble in the Bird Market, but seeing the animals crammed into cages and glued to perches made me near on hysterical and made my stomach turn.